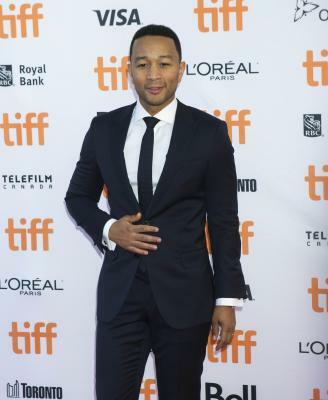 Los Angeles Sep 14 (IANS) Singer John Legend is joining American singing competition television series "The Voice" season 16 as a coach. Legend will take over the spot currently held by Jennifer Hudson who will serve as a coach on Season 15 which debuts on September 24 reports variety.com. The new season will launch this spring. Legend joins returning coaches Kelly Clarkson Adam Levine and Blake Shelton besides host Carson Daly. "I m thrilled to join the coaches of â€˜The Voice . I have been a guest and mentor on the show multiple times and I am so excited to discover talented singers and help them make the most of their gift. I hope the world is ready for Team JL " he said. The news comes just days after Legend joined the distinguished group of EGOT winners or those who have won an Emmy Oscar Grammy and Tony Award. Legend cinched his EGOT with an Emmy win last week as a producer of "Jesus Christ Superstar Live in Concert" and took home the award for best live variety special. He previously won an Oscar for his original song "Glory" (co-written by Common) from the movie "Selma". His Tony win came in 2017 as producer of August Wilson s "Jitney" which was won for Best Revival of a Play. Legend has also won 10 Grammy Awards throughout his career.